Home » Australian News » FactCheck: What are the facts on Australia’s foreign aid spending? If anything, I perhaps understated the case because aid was actually a bit higher than 0.5% in the 1960s. Aid first went over 0.5% in 1963, dipped slightly in 1964, then went over 0.5% again from 1965 and every subsequent year into the 1970s. In 1967 and again in 1970 it hit 0.62%. The highest single year was 1975 at 0.65% but the highest decade taken as an average was the 1960s under Menzies. You can read Costello’s full response here. Is it true Australia’s foreign aid spending was at its highest under Menzies? In making his statement about foreign aid spending, Costello relied on data published by the OECD that go back as far as 1960. Given the difficulty of obtaining data from Australian government sources on aid spending during the Menzies era (meaning 1949-66 for present purposes, though Menzies also served as Prime Minister from 1939-1941), this is understandable. However, it’s not safe to depend upon OECD aid statistics in this instance. Based on the most up to date Australian government data, the highest aid to gross national income ratio under any Australian government since annual reporting began was 0.48%. That was in the financial year 1967-68 under three Prime Ministers in quick succession: Harold Holt, John McEwen and John Gorton. Costello’s broader point is correct. 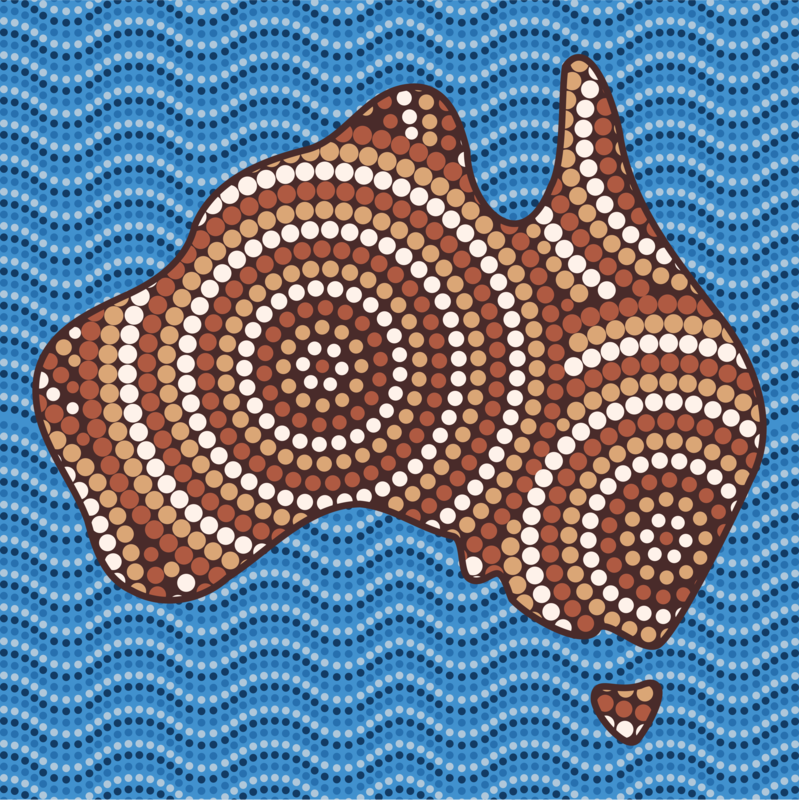 Australian aid generosity is a fraction of what it once was. Australia’s share of aid to gross national income is projected to decline to its lowest level ever in 2016-17, 0.22%. Generosity under Menzies was twice as high as it is now, even though gross national income per capita was less than half of its present level in real terms. What’s the problem with using OECD data on aid spending? 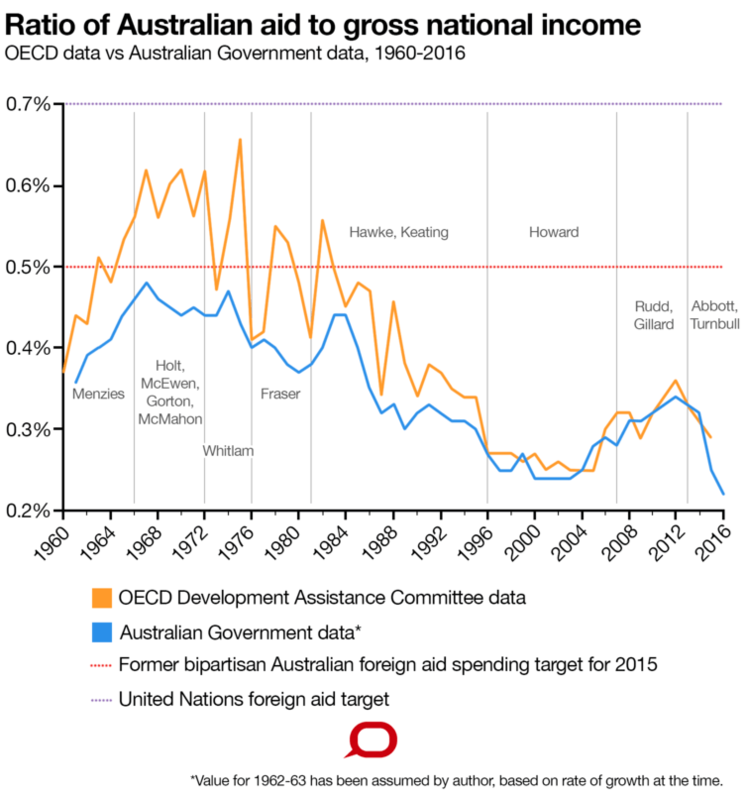 A careful review of the statistics published by relevant Australian government agencies, including some that are tricky to find, indicates that the OECD’s aid to gross national income ratios for Australia are quite inflated for the three decades or so from the early 1960s to the mid-1990s. This inflation is mainly down to differences between the OECD’s estimates of Australia’s gross national income and Australia’s own estimates. While OECD data on Australia’s gross national income over time are based on the Australian government’s reporting to the OECD, the Australian government periodically revises its estimates of past gross national income. Such revisions appear not to have been reflected uniformly in OECD data. On average, the aid to gross national income ratios for Australia published by the OECD up to 1995 are inflated by about 20%. For some individual years, including 1975, the ratios are inflated by more than 40%. How else can we track Australia’s aid spending? The Development Policy Centre’s Aid Tracker uses the most readily available Australian government statistics to show Australian aid flows since the financial year 1971-72. The highest aid to gross national income ratio between then and now was 0.47%, in 1974-75. But what about the Menzies era? It’s no straightforward matter to obtain statistics from Australian government sources on annual aid flows under Menzies, or any other prime minister before Whitlam. But they can be found with a little detective work. Data on annual aid spending as far back as 1961-62 are buried in old Australian Bureau of Statistics Year Books. Australian government data, including the old Australian Bureau of Statistics data just mentioned, show that the highest aid to gross national income ratio under any Australian government was 0.48%. That ratio was seen under Prime Ministers Holt, McEwen and Gorton in 1967-68. The chart below compares Australia’s actual aid to gross national income ratios (blue line) with those asserted in OECD statistics (orange line). The red line represents the 0.5% aid spending target that both major political parties had, for a time, pledged to meet by 2015. The purple line represents the 0.7% United Nations target for foreign aid spending. The Conversation/Data from: ABS Annual Year Books, 1970-72; AusAID Blue Book 2012-13; DFAT Green Book 2013-14; Federal Government Budget Papers 2014-15 to 2016-17; OECD Development Assistance Committee Official Development Assistance database. See this spreadsheet for a collation of the data on which the above chart is based. You can read more about my methodology, including how the chart was constructed, here. How has Australia’s foreign aid spend changed over time? There have been unprecedented reductions in Australia’s overseas aid spending since the Coalition came to office in 2013. Australia’s aid budget for 2016-17, at $3.8 billion, is around one-third less in real terms than the $5.1 billion spent in 2012-13. The $5.1 billion spent in 2012-13 represented the peak of Australia’s aid effort in dollar terms. But in terms of the ratio of aid to gross national income, it was well below the levels of the 1960s and 1970s. Based on the economic growth forecast contained in the government’s December 2016 Mid-Year Economic and Fiscal Outlook, Australia’s 2016-17 aid budget is estimated to amount to 0.22% of Australia’s gross national income. In dollar terms, that’s 22 cents in every $100, compared with 34 cents in every $100 in 2012-13 and 48 cents in every $100 in the late 1960s. In recent years both major Australian political parties have made and subsequently abandoned time-bound commitments to meet an aid to gross national income ratio of 0.5%. A ratio of 0.5% would be well below the United Nations target of 0.7%, which was met or exceeded by six OECD donor countries in 2015 (the United Kingdom, Netherlands, Denmark, Luxembourg, Norway and Sweden). Given that estimates of gross national income have been revised over time, it’s important also to consider policy intentions. Australian Bureau of Statistics Year Books from the early 1970s show that Australian governments believed, in the late 1960s and early 1970s, that they were allocating more than 0.5% of Australia’s national income to aid. Costello is certainly right to say per capita income (gross national income divided by the number of Australians) was much lower in the Menzies era than it is now. Growth in per capita income has slowed lately, and household disposable income has fallen over the last several years. 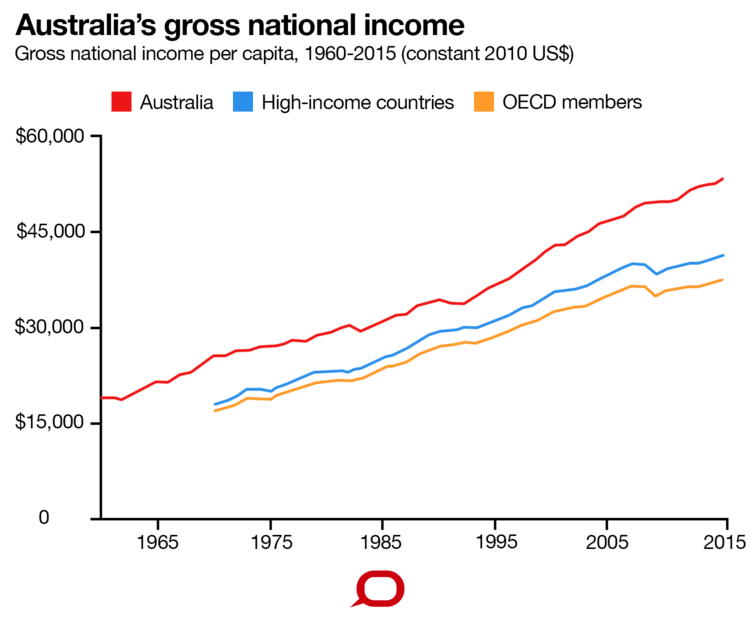 But Australia’s per capita income remains well above the average of OECD member countries, and of all high-income countries. So while Australians have grown richer, our aid generosity has declined. Tim Costello’s underlying point is correct, even if his specifics were a bit out. The highest aid to gross national income ratio under any Australian government was in fact 0.48% under Holt, McEwen and Gorton in 1967-68. Costello relied on OECD statistics that are unreliable for the period in question. Even so, he was only out by a year and a fraction of a percentage point. Moreover, governments at the time did believe they were spending more than 0.5% of Australia’s national income on aid. Costello’s broader message – that Australia’s foreign aid generosity has diminished while Australians have become wealthier – is correct. This is a sound FactCheck. The author has provided a careful, sophisticated and impartial analysis of Australia’s foreign aid spending from the 1960s to the present day. We know little about how Australian aid spending levels prior to 1971 compare to today’s and it is terrific that the author has delved into this area despite the data-related and methodological challenges.